The University of Göttingen (German: Georg-August-Universität Göttingen) is a university in the city of Göttingen, Germany. It was founded in 1734 by George II, King of Great Britain and Elector of Hanover, and was then opened in 1737. The University of Göttingen soon grew in size and popularity. Göttingen is a historic university city, with a high student population and has been home to generations of notable academics and notable alumni alike. The University of Göttingen is also one of the highest-ranked universities in Germany. 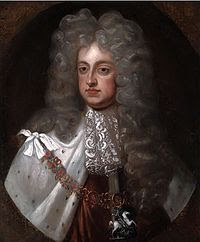 In 1734, George II, King of Great Britain and of Hanover, gave his prime minister Gerlach Adolph von Münchhausen, the order to establish a university in Göttingen to carry forward the idea of academic freedom at the times of European Enlightenment. Upon that, the University of Göttingen became the trailblazer of European universities to hail academic freedom with its four classic faculties of theology, law, philosophy and medicine. Throughout the 18th century the University of Göttingen was at the top of German universities for its extremely free spirit and atmosphere of scientific exploration and research. By 1812, Göttingen had become an internationally acknowledged modern university with its library of more than 250,000 volumes. Napoleon had even studied law here and remarked that "Göttingen belongs to the whole Europe". In the first years of the University of Göttingen it became famous for its faculty of law. In the 18th century Johann Stephan Pütter, the most prestigious scholar of public law at that time, taught jus publicum here for half a century, which had attracted a great number of students such as Klemens Wenzel Lothar von Metternich, later diplomat and prime minister of Austria, and Wilhelm von Humboldt, who later set up the University of Berlin. It is also worth mentioning for this period that Arthur Schopenhauer, the German philosopher best known for his work The World as Will and Representation, became a student at the University of Göttingen in 1809, where he studied metaphysics and psychology under Gottlob Ernst Schulze, who advised him to concentrate on Plato and Kant. By 1837, when the university was a hundred years old, the University of Göttingen had earned its fame as "university of law" because almost every year the students enrolled by the faculty of law made up more than half of all the students on the campus. Göttingen became a mecca for the study of public law in Germany. Heinrich Heine, the famous German poet, studied law and was awarded Dr.iur.. However, political disturbances, in which both professors and students were implicated, lowered the attendance to 860 in 1834. The expulsion in 1837 of the famous seven professors - Die Göttinger Sieben - viz, the Germanist, Wilhelm Eduard Albrecht (1800-1876); the historian, Friedrich Christoph Dahlmann (1785-1860); the orientalist, Georg Heinrich August Ewald (1803-1875); the historian, Georg Gottfried Gervinus (1805—1875); the physicist, Wilhelm Eduard Weber (1804-1891); and the philologists, the brothers Jakob Grimm (1785-1863), and Wilhelm Grimm (1786-1859), for protesting against the revocation by King Ernest Augustus I of Hanover of the liberal constitution of 1833, further reduced the prosperity of the university. Prior to this, the Brothers Grimm had taught here and compiled the first German Dictionary. In 1903, its teaching staff numbered 121 and its students 1529. Ludwig Prandtl joined the university in 1904, and developed it into a world leader in fluid mechanics and in aerodynamics over the next two decades. By the 1920s, it was unparalleled, and in 1925, Prandtl was appointed director of the Kaiser Wilhelm Institute for Fluid Mechanics. Many of Prandtl's students went on to make some of the fundamental contributions to aerodynamics, and read like a "who's who" guide to the field. To date, 45 Nobel Prize laureates have studied, taught or made contributions here. Most of these prizes were given in the first half of the 20th century, which was called the "Göttingen Nobel prize wonder". The international reputation of the university is the result of many eminent professors who are commemorated by statues and memorial plaques throughout the town. The forty-five Nobel Prize laureates who have studied or taught in Göttingen and many other famous professors and students who later became important figures have attained a place in history.